Formal documents, informal emails, academic papers, and legal contracts all have one thing in common – they are composed of paragraphs. If you look at each of these texts, you'll see that the structure of the page is comprised of clumps of sentences combined into units. These are your paragraphs, and if your paragraphs are not organized correctly, then your entire document won't make sense. WhiteSmoke's paragraph checker is designed to scan a document from start to finish, identifying along the way structural errors in the composition of the paragraphs. 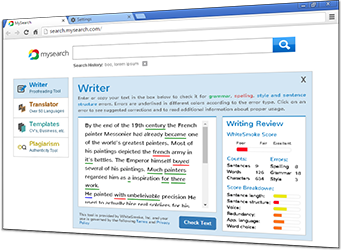 Sometimes a paragraph will consist of a single sentence, and sometimes it will contain many sentences; our online paragraph checker will review and edit paragraphs at both ends of the spectrum, as well as paragraphs of all sizes in between. Does your paragraph have a topic or introductory sentence? Does it have supporting sentences or description sentences that support or describe your main idea? Is there a conclusion sentence, standing it to ensure that your paragraph doesn't just end abruptly in the middle of an idea? Finally, does your paragraph contain transitional elements? Transitions will ensure that not only does each paragraph stand solidly on its own, but that it flows naturally with the paragraphs that precede and follow it as well. 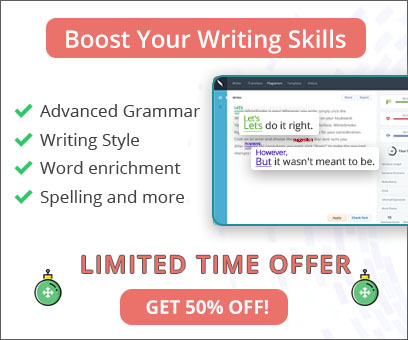 Reviewing and editing your paragraphs for stylistic and structural errors can literally transform a document from a jumble of confusing ideas into a tight, organized piece of text. And this doesn't just apply to formal documents – think about literature, or even poetry. Where the paragraph breaks are located significantly defines how a work will be read. Ever notice how if a paragraph is too long your eyes may just gloss over it without actually reading the whole thing? Our paragraph corrector will identify "run-on paragraphs." And as with all of WhiteSmoke's correction tools, you will always receive recommendations and tips on how to proceed after you've been notified of an error. Paragraphs are made up of sentences and sentences are made up of words. That's why you won't ever use the paragraph correction tool without also using the sentence checker, grammar checker, and spell checker. If your paragraph is structured perfectly, but it's filled with grammatical errors and spelling mistakes, then your idea won't be very comprehensible. A good paragraph has a strong structure – yes – but it also has strong sentences and proper grammar and is free of spelling mistakes. Why run the risk of submitting or sending off a jumbled document? You have good ideas – don't you want your reader to read your ideas in the most coherent and cohesive fashion? The best way to achieve this goal is to use WhiteSmoke's paragraph checker before submitting any documents. In fact, you can even synch the correction tools with your email, running a quick check before hitting "Send." Let WhiteSmoke paragraph checker do the work for you!